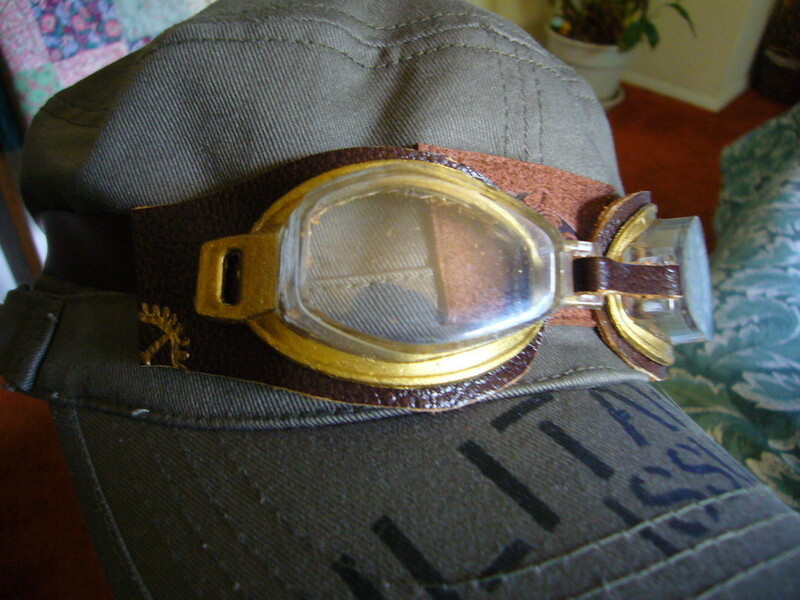 Take an old pair of swimming goggles, remove the rubber strap, nose piece, and the foam bits around the lenses. Try to keep the foam as in tact as possible. You'll use the shape as a stencil. For me, the foam left lots of little pieces glued to the lenses. I used a file to take the remaining foam off. That also roughed up the plastic enough to make it so the paint would stay on it. Lay the foam down on a piece of cardboard or poster board or a spare bit of material. Trace around the shape of it. 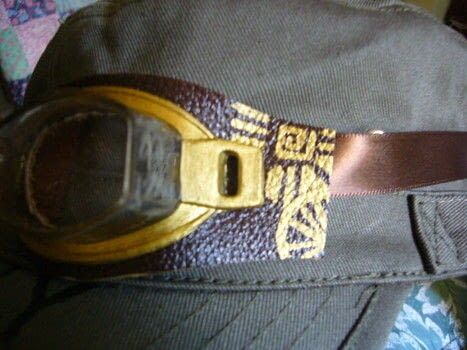 Use that pattern to cut out a spare piece of material to make sure you like the fit. I modified the shape a little on the sides. Once you like the shape, lay out your material onto your leather, trace out the pattern, and cut it out. You could also use faux leather or any other type of material if you don't want to use real leather. Paint around the edges of the goggles. I used gold, but you can use bronze or silver or any other metallic color. 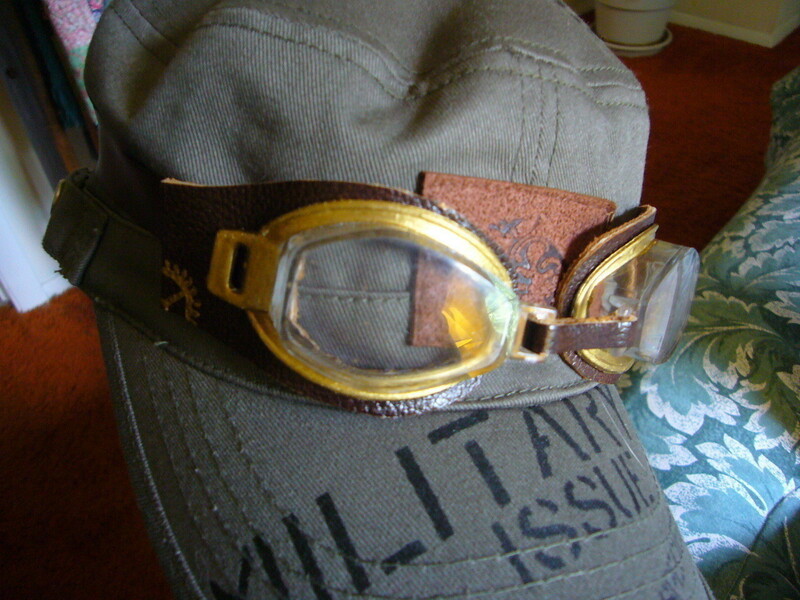 Once the paint is dry, glue the leather onto the goggles and do any extra trimming that is needed. Cut another small bit of leather to use as the nose piece. Figure out how long you need the nose piece to be, and glue or sew it in place. 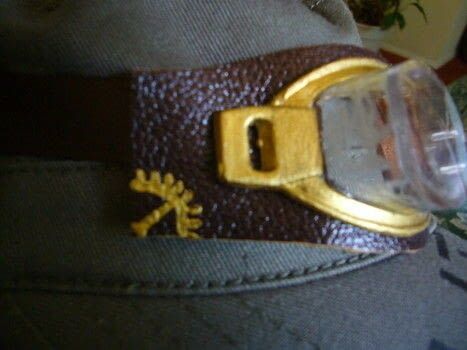 I cut two pieces of ribbon and glued them to the leather to make the strap. You could use a bit of elastic or anything else you've got sitting around. 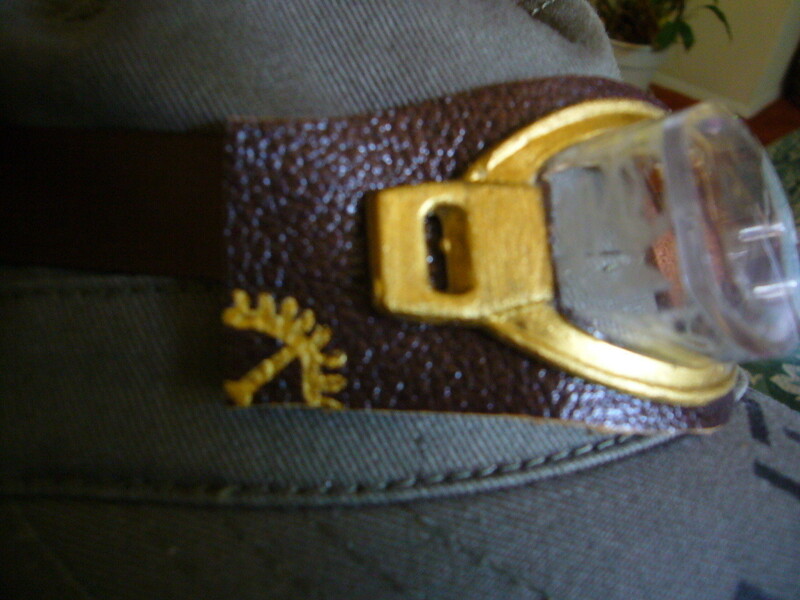 After adding the strap, I also painted some extra designs on the leather. Get creative, and design them however you want! awesome and i love the hat too! Thank you! I'm being like a steampunk aviator girl for Halloween and these are nice and easy! Finally. A steampunk goggle tutorial that makes sense. This is prefect!! I've been looking for a way to make my own goggles for days and this project will work perfectly. I even have most of the materials already. Well done! This is a realy cool project! this is awesome! But if you have time please put up pictures!! I'm a visual learner so this doesn't really help me. But either way, I'm definately going to attempt this project. Thanks!